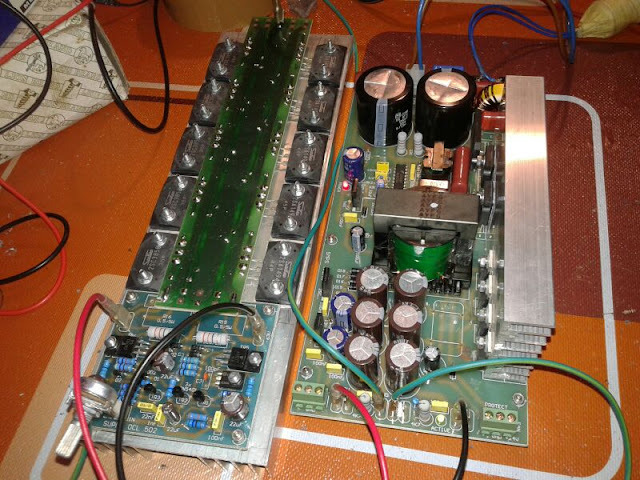 Power supply circuit is suitable for the power amplifier, the output voltage up to 80V DC input voltage is 220V AC. By using SG3525A and IRFP450 TIP31C and smps transformer. i dont have an complete circuit, but in here im publish any filter and any power amplifier. 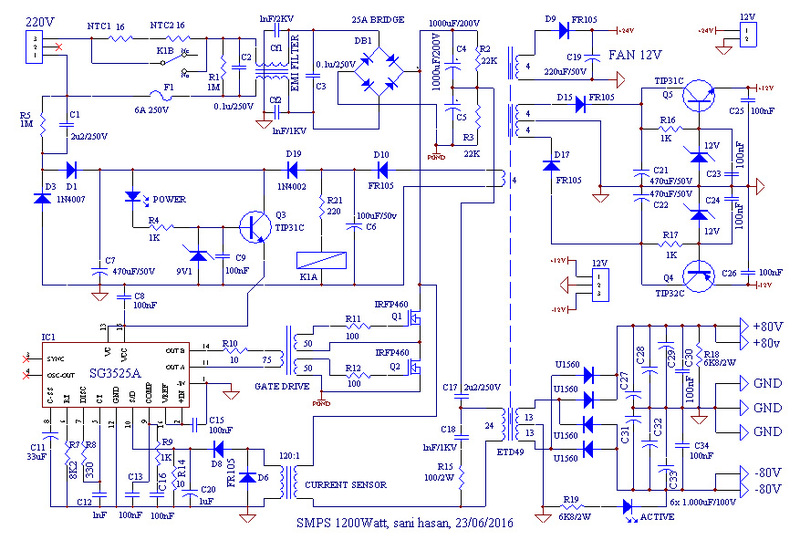 There is an error in the schematic, please verify your design, the power mosfet will blow if you run the design like this. 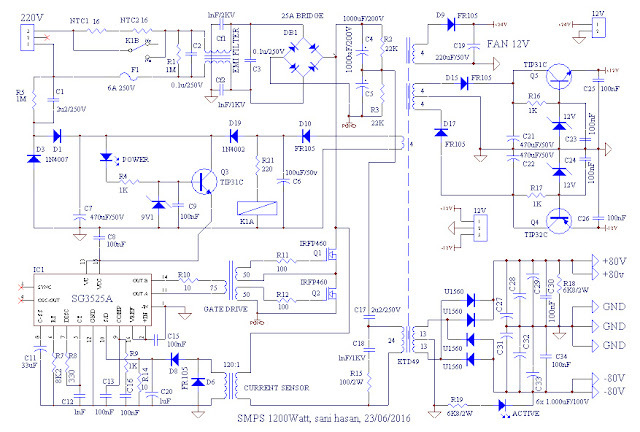 Don't try to build this if you don't know how to read and understand the schematic. see above comments too. The current sensor terminal should be tapped at Q1 source instead of Q1 drain to form a half-bridge converter.